The time has come for our Losers Final match of the IGN Pro League Team Arena Challenge 2! This double-elimination tournament features 16 teams from around the world and is an All-Kill team format. This match is being played for the Losers Final. The first team to defeat everyone on the opposing team's roster (5 wins, or a best of 9), will move on in to the Grand Final, while the loser will be eliminated from the tournament entirely, taking 3rd place. Keep in mind that this has a $20,000 prize pool, and only six teams will make it to the money! Congratulations to NSHoSeo, winning 5-2! They advance to the Grand Finals and oGs is eliminated, earning 3rd place! Probably should not have put this up so quickly, as it does spoil the results of NSHoseo vs FXO. oGs MA BOYSSSS LET'S GOOO! Show em you're good enough to make it to vegas for GSTL finals so i can cheer for you live! Forgg supernova stc vines hwaitinggg! Inca snipinggg! Yeah, I wish this wasn't posted so soon, I didn't know the result. Oh well. Hilarious spoilers. You couldn't have waited until the EU broadcast? But the cast is tomorrow, if I waited until after the rebroadcast there'd be no time to hype! Isn't Gon a coach, not a player? I dunno. Maybe I'm thinking of someone else. He is indeed a coach, although he did qualify for one of the Open Season GSLs. I wonder when the matches were played. OGs lacking Supernova because of IEM could make a difference. Not that they can't win without him (I'd say they are a bit favored any way) but you never know. 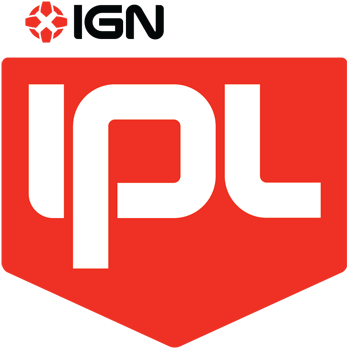 Does anyone know WHY IPL does this? Why do they stream games that were already played weeks in advance? Anything can happen with this one!